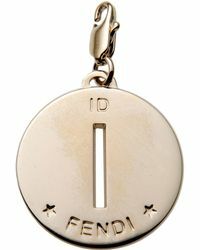 Founded by Adele & Edoardo Fendi in 1925, this eponymous brand started as a specialized fur and leather store in Rome. 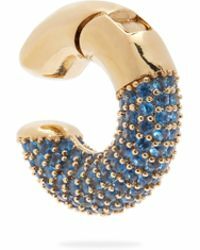 Growing into one of the most prestigious fashion houses in the world, Fendi is still famous for its work with luxurious materials and is the only label to have its own fur atelier. 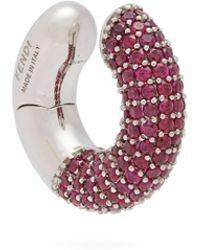 From haute couture to cosmetics, Fendi is the height of luxury and exudes Italian glamor in each of its many lines. 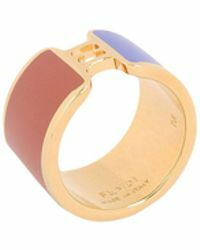 From gold embossed pendants to graphic, avant-garde rings, Fendi jewellery is decadent and beautifully made.